Building Size: Approx 2,500 sq.ft. 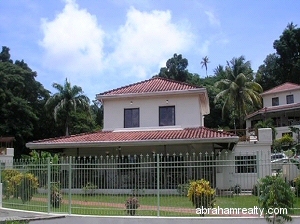 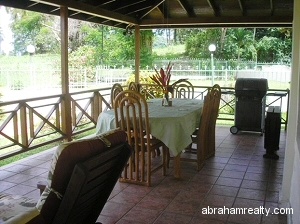 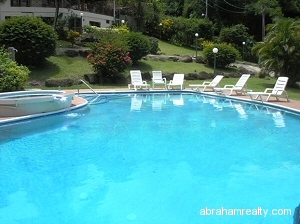 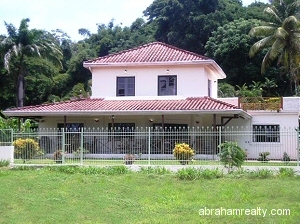 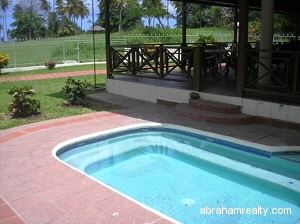 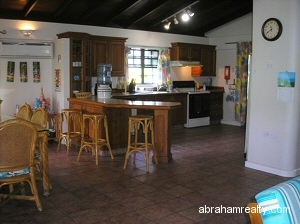 Beautiful well maintained villa overlooking the prestigious Mt. 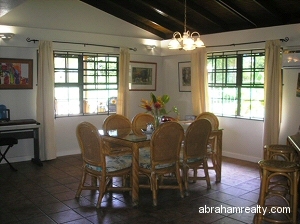 Irvine Golf Course located in a secure gated complex. 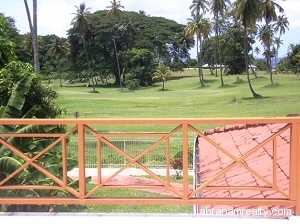 One of five villas nestled on two acres of lovely landscaped gardens with 260 feet of golf course frontage adjacent to the 11th tee and 6th green of the Golf Course with direct access from the property. 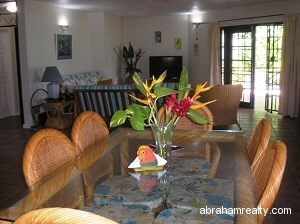 The nearest beaches are about a 5-minute drive from the villa or a 10 minute walk through the golf course to Mt. 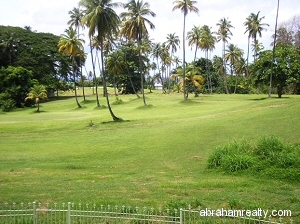 Irvine and Grange beaches. 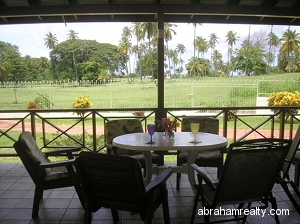 The ground floor features an open plan living and dining area and fully equipped kitchen, The spacious teak railed verandah and a private plunge pool overlooks the golf course. 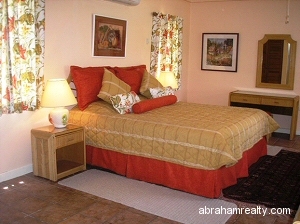 The master bedroom and ensuite bathroom is located on the ground floor and the other 2 bedrooms are on the upper level which also has a large verandah/sundeck for private sunbathing. 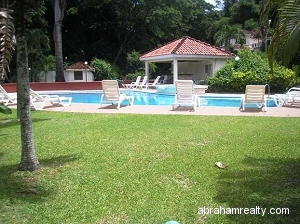 The beautifully landscaped grounds offer a very peaceful tropical ambience in this secure fenced 2-acre estate with a large central 60 ft. swimming pool with entertainment facility. 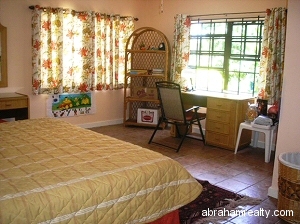 Large Master Bedroom with full en suite bathroom on the ground floor. 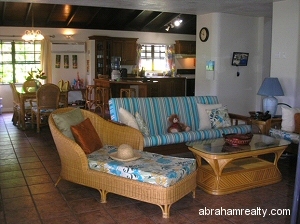 2 Bedrooms upstairs with private balconies.